Bible Game - "Up in the Air"
This Bible game teaches about the importance of being part of a Christian community. As Ecclesiastes 4:9-12 teaches us, two are indeed better than one. Don’t force anyone to play. Be aware that some may be terrified of balloons; allow them to sit as far back as possible during the game. Divide into teams of 3-5 players. Give each team 3 balloons. They may use any part of their body to keep the balloons in the air, but the balloons must not rest on their body or be held. The turn ends when 1 balloon touches the floor and it is the next player’s turn to try. Give each player at least 2 tries. After everyone has at least 2 tries, ask each team to share the best time for their team. After every team has at least 2 tries, ask each team to share the best time for their team. Organize a competition where only 2 teams play at the same time. The team that keeps all 3 balloons in the air for the longest time wins and progresses to the next round. 1. Did you enjoy this activity? Why or why not? 2. Was it difficult to keep 3 balloons in the air on your own? Why? 3. Was it easier to keep the 3 balloons in the air as a team? Why? 4. According to this passage, why is two better than one? 5. Can you share some of your own personal experiences where two is better than one? 6. According to this passage, why is it good for us to meet together? 7. Can you share some of your own personal experiences where you were encouraged by someone? 8. In this passage, what analogy did the apostle Paul use to represent the Christian community? 9. Does every part of the body have the same function? 10. Does everyone in the Christian community have the same capabilities? 11. What do you think of this analogy, that we Christians are the body of Christ and Christ is the head? How does being one part of the body make you feel about yourself? How does it help you in your relationship with to other Christians? 12. Why is it important for each member of the Christian community to care for and support one another? 13. As one body of Christ, how does God want us to treat one another? The Bible uses various analogies to emphasize that we are not alone, and that God does not want us to live as individuals. We, as fellow believers in Christ Jesus, are all part of his body, with Christ as the head. We must learn to work as one united body and support one another. We must learn to rely on one another for support, so that we can collectively do more for God. This Bible game was shared by Bible Games Central. 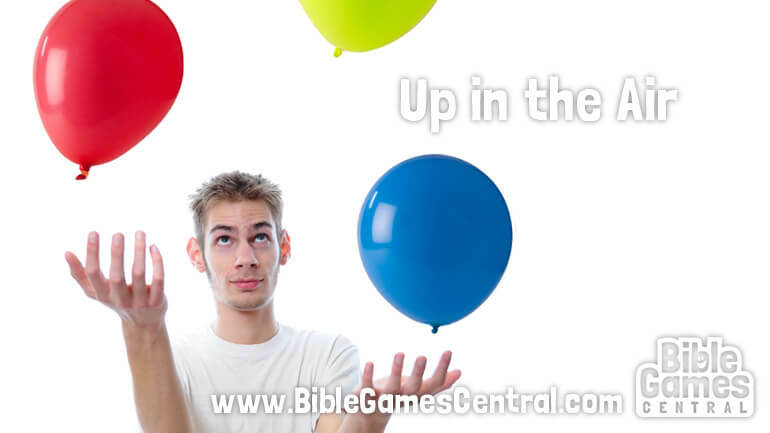 Please visit www.BibleGamesCentral.com for more fun and captivating games complete with Bible learning points, recommended scripture passages and discussion questions.